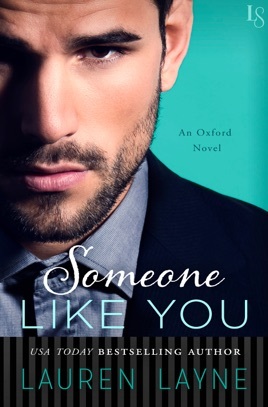 NEW YORK TIMES BESTSELLER • Lauren Layne’s bestselling Oxford Series continues with the poignant, heartwarming story of New York’s most eligible bachelor, Lincoln Mathis, a man who’s living a lie—until his dream woman takes away the pain. The best book in this series! Lincoln’s story is heartbreaking and heartwarming at the same time. I love the Oxford guys and could happily read a book just about them hanging out at work. Anyone else with me? I just spent the past 2 weeks reading all Stiletto/Oxford books. Every one of them have been amazing and heartfelt but this one was good enough to actually make me cry. The backstory of Lincoln Mathis was so tragic and beautiful my heart actually ached for him. Well done, Lauren. Loved every moment. What a wonderful, surprising, heartbreaking story! I was shocked by Lincoln's backstory! I knew his character from other books in the series, but this twist made his and Daisy's story so very engrossing and so very meaningful. Two damaged people come together as friends and start their healing process ------ a process that isn't smooth, isn't easy, isn't without further heartache but is oh so necessary and oh so beautiful to watch unfold.